The Art of Japanese Architecture presents a complete overview of Japanese architecture in its historical and cultural context. 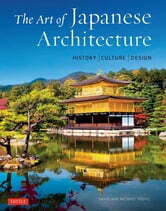 The book begins with a discussion of early prehistoric dwellings and concludes with a description of works by important modern Japanese architects. Along the way it discusses the iconic buildings and architectural styles for which Japan is so justly famous—from elegant Shinden and Sukiya aristocratic villas like the Kinkakuji "Golden Pavilion" in Kyoto, to imposing Samurai castles like Himeji and Matsumoto, and tranquil Zen Buddhist gardens and tea houses to rural Minka thatched-roof farmhouses and Shinto shrines. 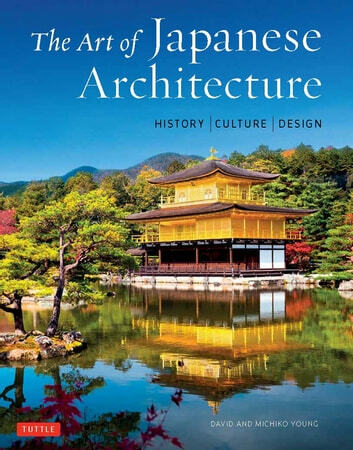 Each period in the development of Japan's architecture is described in detail and the most important structures are shown and discussed—including dozens of UNESCO World Heritage Sites. The aesthetic trends in each period are presented within the context of Japanese society at the time, providing a unique in-depth understanding of the way Japanese architectural styles and buildings have developed over time and the great variety that is visible today. The book is profusely illustrated with hundreds of hand-drawn 3D watercolor illustrations and color photos as well as prints, maps and diagrams. The new edition features dozens of new photographs and a handy hardcover format that is perfect for travelers.